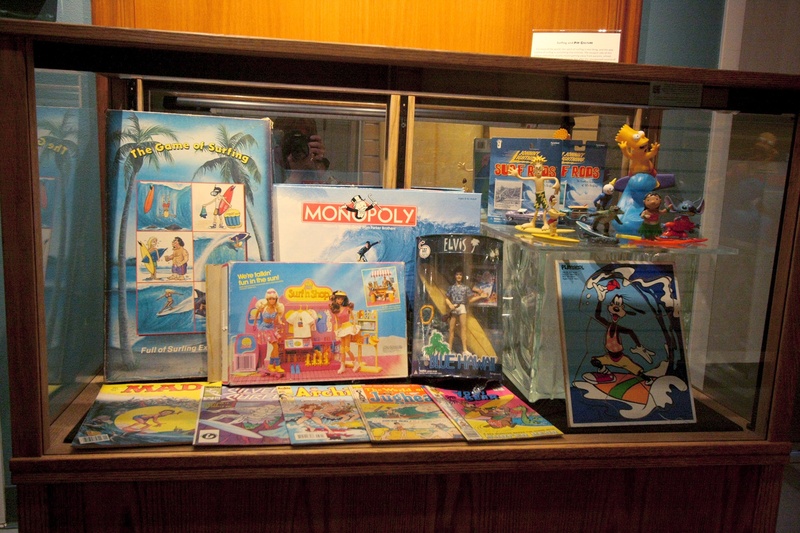 A display of just a few of the commercial products (from Monopoly to Barbie to comic books) that have used surfing to sell more product. After the unexpected success of the film Gidget in 1959, the material world latched onto the surfing lifestyle and all of a sudden the sport was popping up in commercial products across the board. And all over the globe. Popular surf culture now feeds a vast international industry, across a wide range of people. Whether used as a marketing ploy or as a stand-alone product, surfing sells!